West Ham should blow Everton out of the water in the race to sign Roma centre-forward Edin Dzeko after it was reported that both clubs are keen on signing the former Manchester City star in the summer transfer window. According to the Express, Manuel Pellegrini has lined up a move to sign the 33-year-old and is prepared to offer him a two-year deal worth a staggering £165,000-a-week. It is understood that Pellegrini will refuse to admit defeat in the chase for Dzeko’s signature, which is more than likely why that £17.2million contract is on the cards for the Bosnia & Herzegovina international. Everton are said to be interested, but Dzeko would reportedly prefer a switch to London than Merseyside. Either way, it is imperative that West Ham beat their Premier League rivals to the Bosnian colossus this summer. Pellegrini’s strikeforce is bound to be depleted at the end of the season with Andy Carroll’s contract expiring and speculation bound to fire up again about the futures of Marko Arnautovic, Javier Hernandez and Lucas Perez. 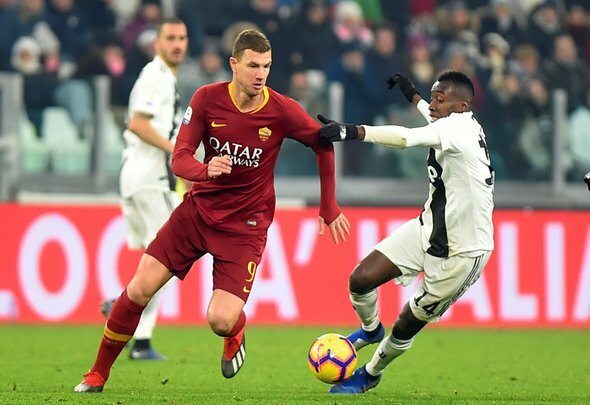 Dzeko is a proven goalscorer in every country he has played in during his career and even though he is 33-years-old, the former Man City and Wolfsburg striker is still firing on all cylinders for Roma this season by scoring 12 goals and supplying eight assists in 33 total appearances. The 6ft 4 (transfermarkt) giant is just what the Irons need in the summer, but he is also what Everton needs as their striker options have been poor to say the least since Romelu Lukaku left to join Manchester United. Dominic Calvert-Lewin and Richarlison are not natural strikers, but the awful form of players like Cenk Tosun has led Marco Silva to playing them pair up front more than others this season. That means that Everton could be a dangers adversary in the race for Dzeko’s signature, especially as they will more than likely spend a lot of money in the summer. However if West Ham move as soon as possible and offer up that mouthwatering £165,000-a-week deal, then Dzeko will surely find it very tough to turn them down.